What do Home Care Providers in Miami, FL offer? In Florida there are two levels of home care seniors and their families can choose from. 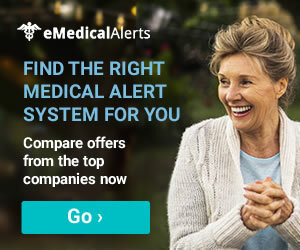 These options include homemakers and companions and home health agencies. Home care is a unique care service that allows seniors to receive care services while remaining in their home. Each of the services that are provided are specialized to meet the seniors needs. Home care agencies also offer many service schedule options for seniors to choose from. A few of these schedule options include daily, monthly, weekly and bi weekly visits. Click or see below to view a list of the Home Care Options in Miami, FL that may fit you and your loved one’s needs. Homemaker and companion care aides in Miami may assist seniors with many activities of daily living. A few of these activities include grooming, bathing, housekeeping services and transportation. Miami is a vibrant and large city located on Florida’s southeastern tip. Miami, Florida is known for its unique art deco architecture and Cuban influenced cuisine. A few common points of interest in the Miami area include visiting the Little Havana District, Key Biscayne, Dodge Island and much more. Other cities that are in close proximity to the Miami area include Miami Beach, Coral Gables, Hialeah, Kendall and Aventura, FL. The city of Miami, FL has a lot to offer and will surely provide for you and your loved one.